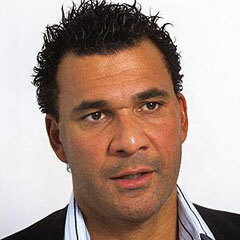 Amsterdam - Dutch football legend Ruud Gullit believes France will end Spain’s reign as European champions in the Euro 2012 quarter finals on Saturday. Despite France losing to Sweden in their final Group match, Gullit believes that they will progress to the semi-finals at the expense of the tournament favourites. Gullit, writing on Laureus.com, says: “I have a feeling - don’t ask me why - that France are the dark horses of this tournament. “Forget what happened against Sweden - I just think they have the players capable of going a long way in this tournament and that includes beating Spain. “I don’t think Spain have missed David Villa as some have suggested - they have other forwards who can come in and do the job. Gullit believes Portugal will beat the Czech Republic on Thursday and that Germany will beat Greece as long as they maintain their discipline and remain patient. Gullit, who played 66 times for Holland and lifted the European Championship trophy with Holland in 1988, will also take a keen interest in Sunday’s quarter final between England and Italy, two nations where he enjoyed much of his career. “England have nothing to lose against Italy. “Expectation may have grown as the tournament has gone on, but they have done well and not having that huge pressure on their shoulders is working in their favour. “Wayne Rooney had an easy goal but the player I have most been impressed with is Steven Gerrard. He has been superb and shown what a great player he has been.